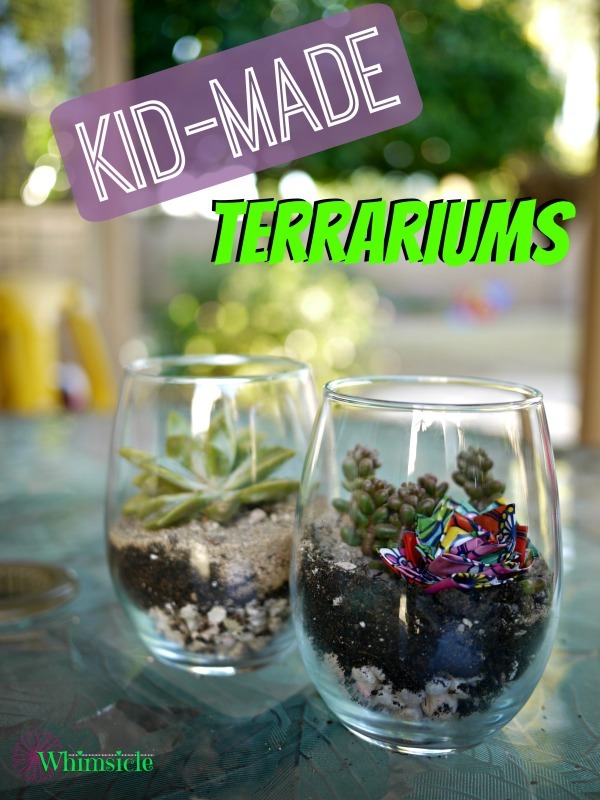 If you are looking for a great handmade low maintenance gift that kids can make, a succulent terrarium may be what you need. Secretly, I always wanted a job as a floral designer. I would just get to play with flowers all day and then get to drive around town to deliver them. My job would be making people happy – and that sounds like a pretty good day at work to me. Problem is, I am horrible with plants. Any plants that are in my care eventually die. I always forget to water them. They then wilt away, browning and forgotten on a windowsill. Succulents only require watering once every two weeks or so. 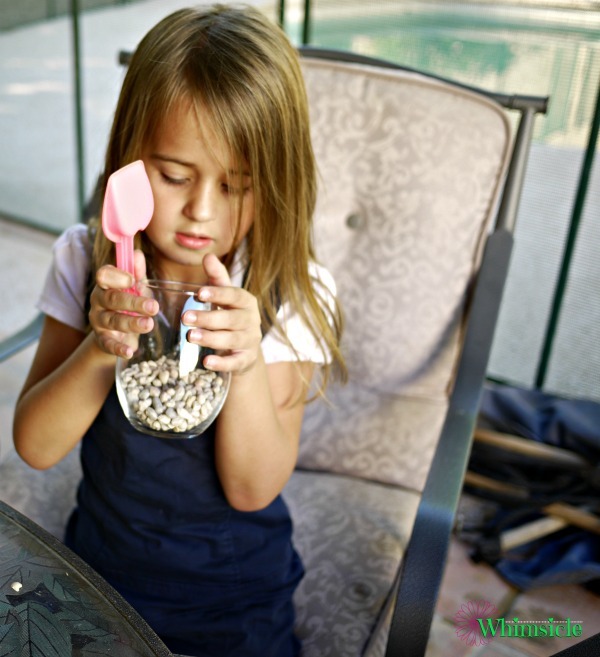 They are sturdy, which makes them perfect for kid hands. These plants make a perfect gift because of they’re low maintenance and are personally designed. First, Fill the glass with layer of gravel. This will be where the water will drain. Next, add a layer of the potting mix. 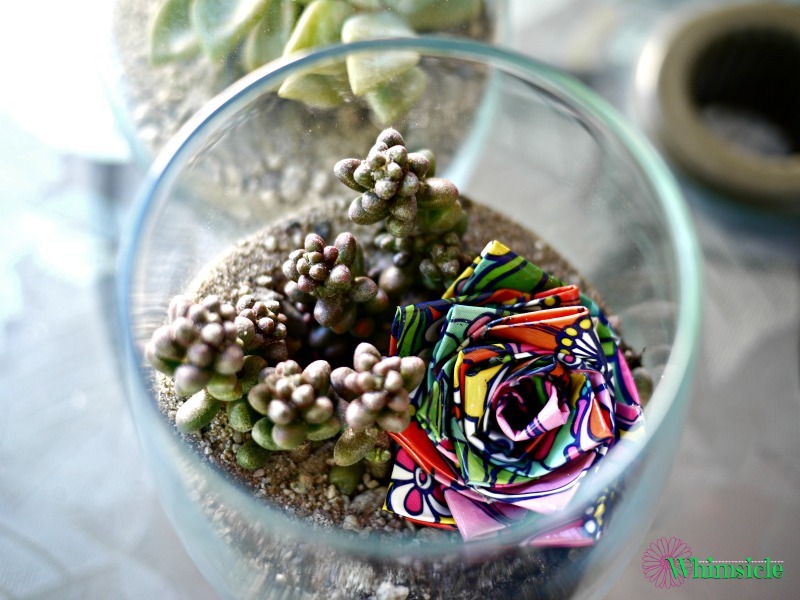 Take your succulent out of it’s plastic pot and brush off some soil to expose the roots. 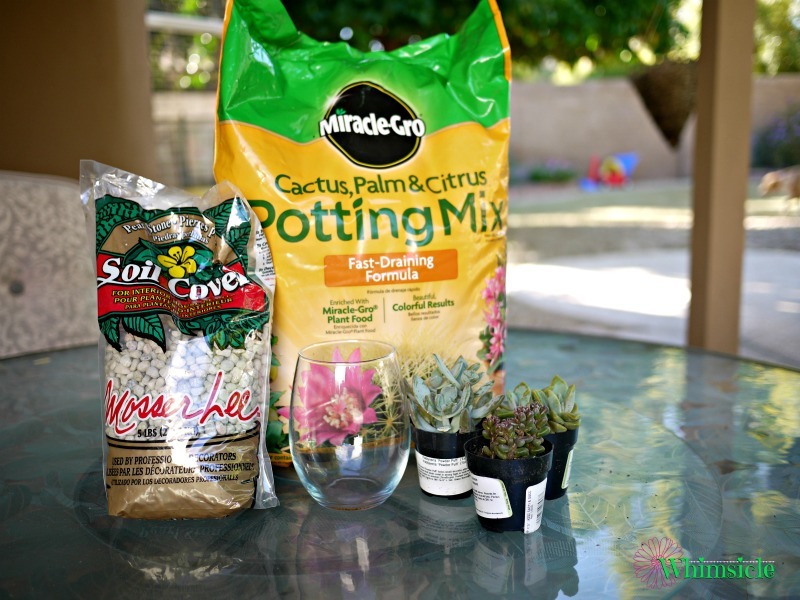 Place your succulent into the potting mix and cover the roots. 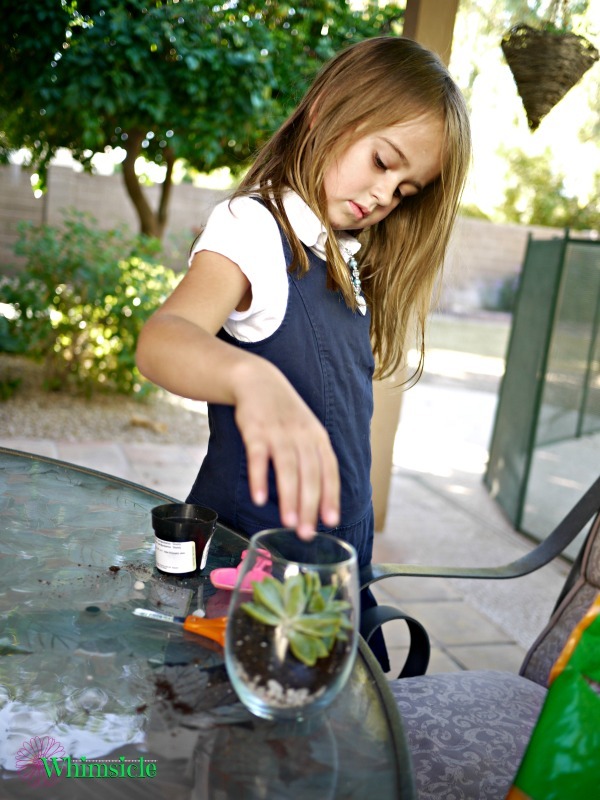 Place a thin layer of sand on top of the soil. Add additional rocks to decorate the landscape inside the terrarium. We made a duck tape flower to place in ours for extra color. 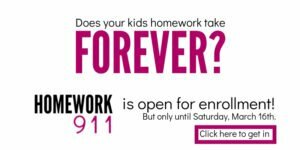 These make excellent teacher gifts and would look spectacular on a desk or in a windowsill. Ours are currently the centerpieces for our kitchen table. Awesome idea. 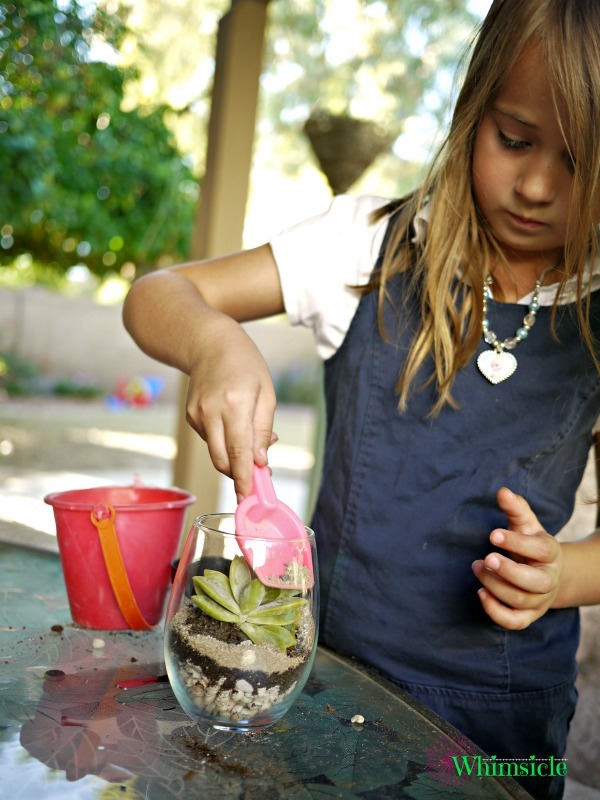 I love succulents and getting the kids involved to make a cute gift would be, well, cute! These are so cute! 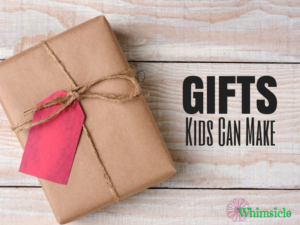 SO PERFECT for a teacher gift!! !